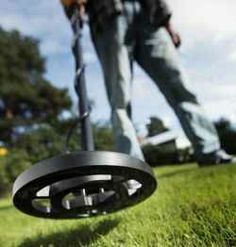 Use What You’ve Got | Metal Detecting Does Not Need to be Expensive! Equipment. Obtain the best treasure hunting equipment you can afford, but do not worry if you don’t have or cannot afford the latest or most expensive equipment. Some of the most effective treasure hunters today have the simplest, least expensive equipment. They know how to use that simple equipment to its best advantage! Learn all the ins and outs of the equipment you have, and you will do well enough to make those about you envious. Persistence. Be persistent, but never upon any project you have failed to sufficiently research. Keep after only what you believe is true after gaining enough validity to back up the story. There is a huge difference, my friends, between good dreams and total, idle daydreams. You will find as many leprechauns as you do pots of gold at the end of rainbows, and coming to the very ends of rainbows is hard enough to do! There are far too many valid leads to persistently pursue some golden mirage. You must look into your own heart to see if you have all the right stuff it takes to make a treasure hunter! Examine your deepest dreams with a critical eye, for you alone can deter‘ mine what factors are missing. You may have to dream some more, or daydream less. Look inward, would-be treasure hunter, for there alone will you find the true waybill to the recovery of treasure. You will likely come to see that it is mostly the pursuit you seek, even more than the greatest heap of gold, and that actual recoveries are somehow less important than the consuming dreams that led to them. Look to your dreams, seeker of treasures, for it is there you are most likely to see how you can gain for yourself all the right stuff!